There are several scholarship opportunities available for students from Jamaica to pursue undergraduate and graduate degrees. Check out the list below! The Joan Duncan Foundation provides financial assistance to students enrolled in recognized higher education institutions in Jamaica, specifically those who are well-rounded students involved in their schools and communities. Applicants are required to have at least a ‘C’ average. To apply for this scholarship, your university or college must have identified you as an individual who is financially challenged. The University of British Columbia gives bachelors scholarships to talented secondary and post-secondary international students from all over the world. Applicants must demonstrate superior academic achievement, leadership skills, etc. The value of the scholarship given matches the individual’s demonstrated financial need and can cover up to full tuition costs for the program of study, as well as living costs. York University gives Global Leader of Tomorrow scholarships and International Entrance scholarships to international students interested in pursuing a full-time undergraduate degree at the institution. The scholarships are worth between $60,000 and $100,000 for a four-year undergraduate program. York University, located in Ontario, is a leading university in Canada. The Ministry of Education and Youth gives out several scholarships yearly to Jamaican students. Emancipation Scholarship – open to males and females under the age of 25. The scholarship is undertaken at the University of West Indies and University of Technology, Jamaica, for a period of 3 to 5 years. Jamaican Government Exhibition Award – covers any undergraduate program at the University of West Indies. Recipients are entitled to a tuition fee and book allowance. The International Undergraduate Scholarships were established by the University of Melbourne in recognition of the contribution that international students make towards the diversity of the university. Recipients of this scholarship get a partial tuition fee remission. This scholarship is awarded to international students who are high achievers and have excellent academic results. The scholarship is applicable for any of the undergraduate programs available at the university. The OFID Scholarship program sponsors outstanding young students from developing countries through graduate studies in a development-related discipline. Tuition fees are paid directly to the university. The scholarship applies for study at any recognized university around the world. The Fulbright Program is a foreign exchange program funded by the United States Government. This scholarship program enables graduate students to study and conduct research in the US. Scholars must have completed an undergraduate degree at a reputable university and should display leadership potential. Recipients may pursue a variety of disciplines under this program, like natural sciences, mathematics, performing and visual arts, etc. The University of Westminster offers a number of fully funded scholarships for exceptionally qualified students from the UK, EU, and international countries. The scholarship is given as a full tuition fee award (waiver). This scholarship gives students from developing countries a fully funded opportunity to pursue a full-time master’s degree in any field offered at the university. The New Zealand Development Scholarships give people from targeted countries the opportunity to undertake development-related studies. The scholarship is available for specific subject areas that will give the recipients necessary skills that will aid in the development of their home country. Fields of study include subject areas within the fields of agriculture and renewable energy. This scholarship is undertaken at New Zealand universities or participating Pacific universities and covers full tuition costs. The Schwarzman Scholars Program gives the world’s best and brightest students from all over the world the opportunity to develop their leadership skills and build professional networks through a one-year masters program in China. Recipients of this scholarship study at Tsinghua University in China. This prestigious scholarship covers tuition, and fees, travel costs, room and board, stipend, etc. Recipients study for a Masters in Global Affairs, concentrating on economics and business, public policy or international studies. 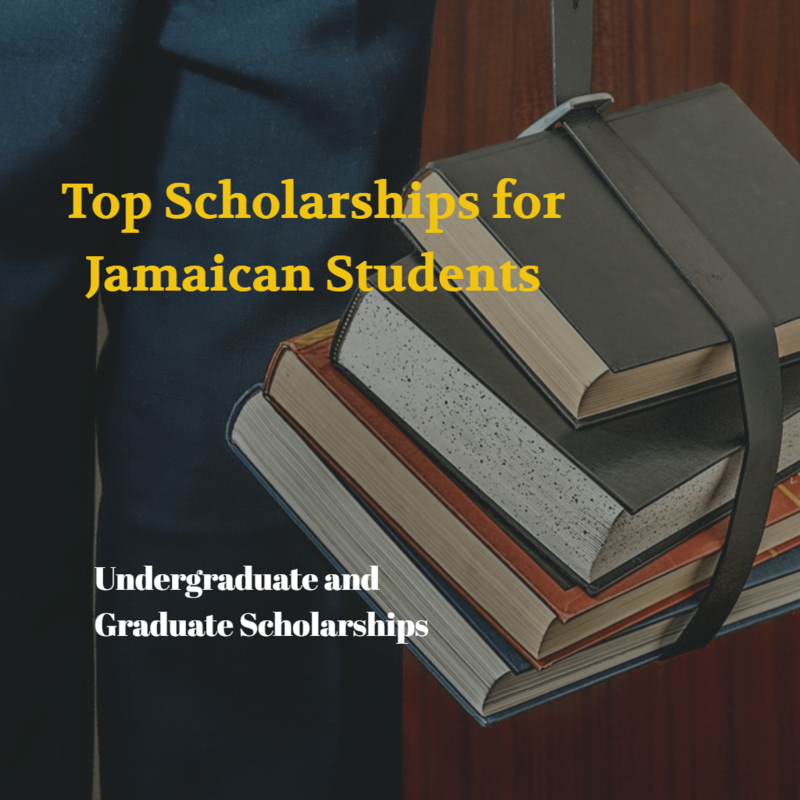 If you are from Jamaica and you are looking for a scholarship, this list of great scholarships available for Jamaican students will be of great help!